LeftRoots member, Jonathan Kissam, from Vermont, weighs in on the Bernie Sanders debate. The Bernie Sanders campaign has provoked widespread interest and debate on the U.S. Left, such as it is. This article is a contribution to that debate from the perspective of a left organizer who has been active in trade union and community organizing in Sanders’ home state of Vermont for the better part of two decades. This article is not directed at progressives, but at leftists – those who identify as socialists, communists, and/or anarchists, those who want to replace capitalism with a different system, not simply reign in its most atrocious features. In short, those whose vision of liberation goes far beyond what Sanders has articulated in his political program. The purpose of this article is not to convince individuals to vote for or against Sanders, or to give money or time to his campaign. Rather, the purpose is to help leftists assess how the Sanders campaign impacts our strategies (or attempts to formulate strategies) to build a social force that is strong enough to dismantle and replace capitalism. The summer that I moved to Vermont, before I acquired gainful employment, I went out canvassing for Sanders a couple of times – he was still in Congress, and still had to run for re-election every two years. Of the maybe twenty people I spoke to, two of them had been personally helped by Sanders’ office when he was mayor of Burlington. And one told me that he didn’t agree with Sanders on a single issue, but always voted for him, because Sanders was always honest about what he believed. Perhaps the clearest example of this is how willing he is to take on the most powerful corporations in the world. It is hard to think of another politician who would be willing to anger General Electric while running for president. Sanders, for better or for worse, genuinely believes that the institutions of American democracy can be used to bring about deep, structural political changes that will improve the lives of millions of people in real ways. And this belief leads him to attempt things that most of us on the Left think impossible – such as running for President as a socialist. Unlike most Democratic Party politicians, who will only support trade union and social movement struggles when asked or pressured to, and only after making political calculations, Sanders takes an active interest in the organizational health of the trade union movement and other popular organizations. For several years I served as the highest-ranking elected official of the United Electrical Workers union (UE) in Vermont. As such – since we are independent of the AFL-CIO – I was regularly invited to meet with Sanders, along with the presidents of the AFL-CIO, Vermont NEA (teachers’ union), and the independent Vermont State Employees Association. Sanders, in effect, convened the trade union movement in a way that its official representatives were too short-sighted or fragmented to do on our own. He has sponsored labor conferences that bring together hundreds of union members to discuss the political issues of the day and promote a working-class political vision. The first of these that I attended was led by labor leftist Bill Fletcher, in 1999, as Fletcher was being eased out of the AFL-CIO for his radicalism. In addition to convening trade unionists, Sanders has been instrumental in supporting, and on occasion leading, countless workers’ struggles in Vermont. His support was crucial to the nearly 2000 nurses at the state’s largest hospital winning union recognition, and to hundreds of federal contract workers winning millions in back pay after being systematically underpaid in violation of the federal Service Contract Act. In 2000, when IBM initiated drastic changes to its pension plan, Sanders essentially served as shop-steward-at-large for the thousands of workers at IBM’s non-union plant in Vermont (and, indeed, for IBM workers nationally), helping to win significant modifications to the draconian take-backs. Sanders has done similar organizational work with the environmental and women’s movements, among others. Most strikingly, he has invited the Vermont Workers’ Center to directly recruit at his campaign events. Unlike the vast majority of politicians, even those on the left, Sanders does not see non-electoral organizing as in competition with electoral strategies, but as a crucial complement to them. While true, I think this represents a fundamental misreading of Sanders. He does not see himself as a radical candidate. He is not a Ralph Nader or a Jill Stein. He is not so much interested in expanding the political imagination as in winning actual changes in the way society is governed. While Sanders’ statement on reparations having no chance of passage was, like many things he says about race, tone-deaf, it was not wrong. Coates asserts that Sanders’ single-payer proposal is equally unlikely to pass Congress – but there is a significant difference: single-payer has widespread public support, in a way that reparations do not. This is not to say that those of us who believe in reparations should not criticize Sanders, only that we have a job to do – convincing more white folks (and more non-Black people of color, and to be honest more Black folks as well) that reparations is not only the right thing to do, but in our long-term interests. And, for better or for worse, we need to be realistic that Sanders is not going to do that job for us. The bottom line is: Sanders would not be running if he did not honestly believe that he has a chance of winning, and that he would be able to – over time – pass significant parts of his agenda. He has won elections for over three decades, has experience governing, and has more than two and a half decades’ experience moving both small and large agendas through Congress. While we may not agree with every decision he has made, is making, or will make, we need to understand that fundamentally what he is doing is looking for the most achievable radical change, and the most radical achievable change (within his own political framework of social democracy). While this is, understandably, not part of the Sanders campaign’s public history, when Bernie was first elected mayor of Burlington in 1981, he was faced with an extremely hostile city council – having only two allies out of 14 city councillors. Burlington’s city government is run on a commission system, meaning the mayor’s power is significantly checked by commissions, appointed by the city council, who oversee almost all city departments. When Sanders was first elected, Burlington was in many ways a traditional Democratic Party one-party machine fiefdom – and the machine wasn’t about to let some upstart “socialist” actually run the city. In response, Bernie and his supporters took the one small city department the mayor had direct control over, the office of economic development, renamed it the “Community and Economic Development Office,” and began to use it to facilitate organization and mobilization in the city’s neighborhoods. Most significantly, they established “Neighborhood Planning Assemblies” in each of the city’s seven wards. The assemblies met monthly, and CEDO turned over a certain portion of the federal block grants that they administered to the assemblies to fund neighborhood improvements (not unlike the “Participatory Budgeting” that the Brazilian Workers’ Party would establish in Porto Alegre later in the decade). This institution continues to this day, and has provided a crucial space for popular mobilization on issues both local – such as fighting proposed closings of schools in working-class neighborhoods – and national and international – such as pressing the city council to take progressive stands against the war in Iraq, or for immigrants’ rights. In addition to the NPAs, Sanders and his allies established a women’s council, an arts council, a sister city program with Puerto Cabezas in Sandanista Nicaragua, and a robust community-access television network. The Clerk’s office and the Board for Registration of Voters made it easier to register to vote and easier to vote. Over time, popular involvement in these progressive, participatory initiatives sponsored and supported by the mayor’s office led to political change. More Sanders allies were elected to the City Council under the banner of the loose “Progressive Coalition” (which eventually formally formed the statewide Vermont Progressive Party in the late 1990s), as were more independents and Republicans, breaking the Democratic party machine stranglehold on city government. Eventually, even Democrats on the council began to see the light and work with Sanders. This track record is an important counterpoint to those who argue that Sanders, if elected, would be unable to move his agenda through a Congress dominated by Republicans and conservative Democrats. And it is also important to think about how, if he is elected, leftists and popular organizations can make use of such openings that a Sanders presidency would provide. As stated above, I am not writing this article to argue that individual leftists should vote for or against Bernie (although I voted for him, as I always have), or give time or money to his campaign (although I have done both). Nor am I going to argue that grassroots organizations should divert limited resources from organizing into involvement in Bernie’s campaign. Those decisions have to be made based on the time, place and conditions that individuals and organizations are working in. However, I am going to tell a cautionary tale from 1990, the year that Sanders first got elected to Congress. Bennington County, in the southwest corner of Vermont, is one of the more conservative parts of the state – in fact, it was the only county that Sanders did not carry in 1990. The Sanders campaign in Bennington was run out of the offices of UE Local 295, which represented hundreds of manufacturing workers at Bijur Lubrication. Years later, the UE staff representative who had been working with Local 295 at the time told me about the victory party, how the middle-class peace and environmental activists and working-class trade unionists looked at each other and said, “hey, we did this amazing thing together!” And how she never saw that happen again, because no durable political organization was built. Unlike the cities of Burlington, Montpelier and Brattleboro – liberal enclaves which do, in fact, resemble the stereotype of Vermont held by many outside the state – Bennington is a rural, working-class, conservative area, and one that has been hit hard by globalization and deindustrialization. Bijur Lubrication moved most of its production to Mexico and China in the 90s, and closed its doors for good in the early 2000s. It is the county that Trump won most decisively in Vermont’s primary in March. One of the notable – though not often-enough noted by people who think of politics as a linear spectrum – aspects of the Sanders campaign is his ability to attract “independents.” White working-class voters in rural states who do not identify with the Democratic Party are turning out to vote for a self-proclaimed socialist. If the issue of organizing working class white folks is important to the Left (as I would argue that it should be), then we should be looking closely at Sanders’ message, and how it centers working-class experience and economic pain – something that too often becomes secondary in the rhetoric of the Left. We also need to be thinking about the question of what happens – politically but more importantly organizationally – to the millions of people excited by the Sanders campaign after the Democratic Party convention this summer when, in all likelihood, Clinton will be nominated. The Sanders campaign is unlikely to build a durable political organization – electoral campaigns simply do not do that. Electoral campaigns are a sprint, and durable political organizations have always been built by committed activists whose vision of transforming society makes them long-distance runners. However, the Sanders campaign has reached and mobilized more working-class people, with a basic anti-corporate message and an identity as a “socialist,” than the Left has in decades. Perhaps we have an opportunity to find new comrades in unexpected places. Turing the campaign and the motion around it into ongoing base community organizations–like PDA or WFP chapters–is OUR task, not limited to Bernie or the campaign. They may or may not help, but we should take our own initiative. Not doing this is what I call the ‘right deviation’, of simply ‘movement building’ and not organization building. That was the error of Jesse and the Rainbow. Movements ebb and flow, and when the Jesse motion ebbed, we were left with nothing other than fond memories. Also, this battle, to stretch the Dem tent until it implodes, is not going to be won in one round. We have to create the organizational means, a ‘party within a party,’ that can span several cycles and be fully engaged in the social movements as well. 1. Bernie Sanders not only never joined the Vermont Progressive Party but actually helped sabotage its electoral success in collaboration with the Democratic Party. 2. Sanders was elected as Mayor on a platform opposed to the transformation of the Champlain waterfront into a playground for the rich, proclaiming “Burlington is not for sale!” Just a few years later he teamed up with a large developer to try and do just that: the Alden Plan would have bulldozed a huge portion of the waterfront to build a 7-story hotel, 300 upscale condos, 145,000 square feet of offices, 65,000 square feet of retail and a 1,200 car parking garage. Burlington residents rejected the bond measure for the waterfront development, despite Sanders pushing hard for it and telling folks that it was the best that they could do. 4. In 1999, Congressman Sanders had peace activists, protesting his support for NATO bombing runs in Kosovo, arrested for “trespassing” at his Burlington office. 5. Senator Sanders has consistently supported the F-35, even in the face of massive grassroots opposition from working class Vermonters who would be displaced and harmed by it, and of course in the face of his stated commitments against both militarism and bloated Defense Department waste. As a bonus #6, I think it’s also very much worth looking at the broader context of the Neighborhood Planning Assemblies. From a political perspective, Bernie’s back was up against the wall: the NPAs were his way of maneuvering around the barriers that commissioners and the council had set up for him. It remains an open question whether Bernie would have set them up had he encountered a more welcome reception in City Hall. This is not an academic point: it helps explain why the principles behind the NPAs were not expanded and strengthened across more levels of city governance and decision-making once he found friendlier elected officials around him. From a movement perspective, the NPAs — and the Sanders administration in general — sucked both dedicated organizers and energy out of radical independent organizations (e.g. PACT) and pulled them into the city governance structure. City Hall was then able to whittle away the teeth and funding from the NPAs, leaving Burlington with neither meaningful popular control of resources nor the social movements needed to fight for them. I think a lot of Patrick St. John’s points are great illustrations of the cautionary tale about Bennington, and the failure of the Vermont left to engage working-class Vermonters. The Vermont Progressive Party, who are the folks who made a conscious decision *not* to organize in Bennington following the 1990 election, are a great example. While they generally rely on working-class votes (at least in Burlington), they are overwhelmingly middle-class in social makeup – and I suspect that is a large part of why Sanders has held them at a distance. 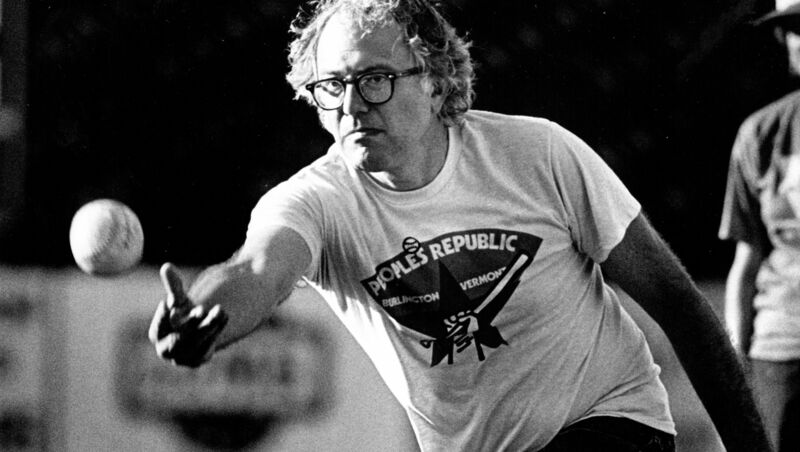 When the GE protests in the 80s pitted mostly middle-class peace activists against members of IUE Local 248, Sanders more or less sided with the (misguided, right-wing, but legitimate democratic representative of the workers) union. Bringing the F-35s to Vermont will directly harm several working-class neighborhoods – but in the actual politics of that debate, the opposition to the F-35s was far more middle-class than those actively supporting them (and the opposition had no realistic plan to preserve the jobs that would be lost if the F-35s were not brought in to replace the other death-jets that were being phased out). None of this is to say Sanders made the right decisions. I would have been there with the GE protesters in the 80s (except I was a teenager in Kansas at the time), I opposed the F-35s, I’ve been a member of the VT Progressive Party. But Sanders, unlike essentially anyone on the U.S. Left, has actually governed, and if our ambition is to govern (either by taking control of the state through democratic or revolutionary means, or creating a new state from below, or abolishing the state), then we need to take seriously the dilemmas of, for example, do we support essentially symbolic acts of foreign policy activism (the guns were going to get made whether the GE plant in Burlington made them, the F-35s will be based somewhere) if it means that dozens or hundreds of people are going to lose their jobs, and we don’t have the power to create new jobs for them? It also raises the question of building an actual party (or organization, if you’re wary of the term “party”) of the Left, where different constituencies can hash out their differences. In the example of the Kosovo protesters in 1999 – when Sanders’ local chief of staff (not Bernie himself) made the decision to arrest protesters, there was a deep divide between the (again, broadly middle-class) peace wing of Bernie’s constituency, and his deep support among veterans (broadly, a more working-class constituency). If there were some, I don’t know, organization in which peace activists and environmental activists and labor people and veterans could work out their differences – as opposed to us all relating separately to a charismatic politician – then we’d be more likely to have a united position and a united strategy. The question of radical organizations being absorbed into the state is also an important cautionary point that St. John raises (and a concern shared by some of the people I know who were part of that). On the one hand, yes, there were radical independent organizations like PACT in Burlington that declined/disappeared in the 80s as their activists got sucked into running a progressive city government. On the other hand, there are lots of places in the country where radical independent organizations declined/disappeared in the 80s as their activists moved into academia or the Democratic party. I think it’s an open question which of those is worse. Re the GE plant, while Sanders was mayor of Burlington he fired the Asst City Treasurer, Barr Swennerfelt for her role in the GE protest.